We're another step closer to affordable and fully-functional/immersive standalone VR experiences. Standalone VR HMDs are getting stronger. Today, Google announced a few experimental features coming to their standalone Daydream virtual reality headset, the Lenovo Mirage Solo. The two most significant announcements are the six degree of freedom, or 6DoF, tracking controllers and the see-through mode. Affordable and fully functional standalone VR is going to be key to the industry experiencing rapid growth and, while the Daydream and Oculus Go provide those cheaper alternatives to expensive, tethered virtual reality like Rift and Vive, the platforms haven't provided consistent 6DoF tracking and input. This type of interaction is key to VR immersion and Google is offering opportunities to experiment with their own 6DoF controllers now. "We're excited about this approach because it can reduce the need for expensive hardware and make 6DoF experiences more accessible to more people," the blog post reads. Next up is the addition of a see-through mode. This new addition uses the WorldSense, which is the positional tracking tech that uses fisheye cameras to track the user's head position. As described in the official Google blog post, the lenses for the tech are roughly eye-distance apart, allowing for near-precise depth perception. That reality is why the feat below, playing ping pong with the VR headset on, is able to happen. One of the major implications of this see-through mode is how it provides an ooportunity for augmented reality programs in collation with the Mirage Solo's tracking tech. Instead of being limited the virtual worlds rendered in the HMD, programs can superimpose digital objects over your real surroundings. Last but not least, Google is introducing the capability to open any Android smartphone app on the Google Daydream VR HMD. Essentially, users will be able to use a virtual big-screen to use their usual applications. Once completely released, developers will be able to add Daydream VR support to existing 2D apps "without having to start from scratch." 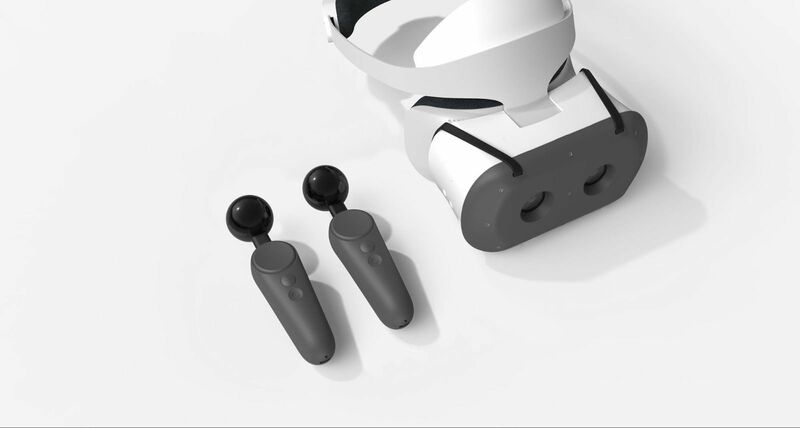 The see-through mode and Android apps in VR will be available for all developers soon, but devs interested in experimenting with the 6DoF controller kit will have to apply on the official website. Stay tuned to Shacknews for additional updates.